” In large stretches of upstate New York, it is the reason Gov. Andrew M. Cuomo is deeply unpopular. To many voters in New York City and its suburbs, it is one of his crowning achievements. Mr. Cuomo, a Democrat, made New York the first state to pass a broad package of new gun laws after the mass shooting in Newtown, Conn., in 2012. Seizing a singular political moment, he called it the Safe Act, and he implored Congress to follow his lead. Nearly two years later, as he seeks a second term, Mr. Cuomo presents the act to his supporters as one of his greatest successes, and Democrats are assailing the governor’s Republican challenger, Rob Astorino, for being lax on guns. It remains one of the most far-reaching pieces of gun-control legislation passed in response to the Newtown shooting. But in pushing for passage of strict new gun laws, Mr. Cuomo alienated a vocal constituency across upstate New York, a region he has otherwise wooed. 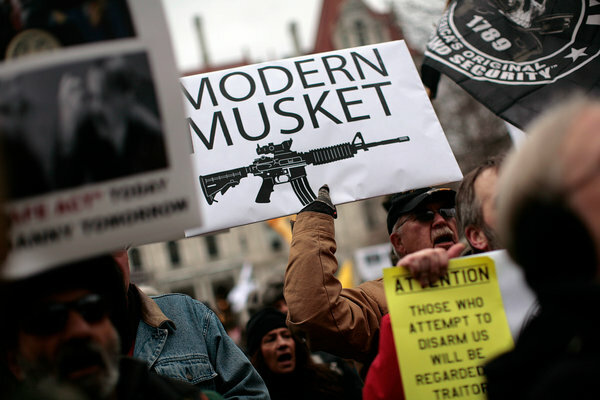 In court, gun owners have challenged the constitutionality of the laws; on lawn signs and bumper stickers in places like the Catskills and western New York, they demand their repeal. Counties, towns and villages have passed resolutions denouncing the laws, and some counties have even demanded that their official seals not be used on any paperwork relating to them. 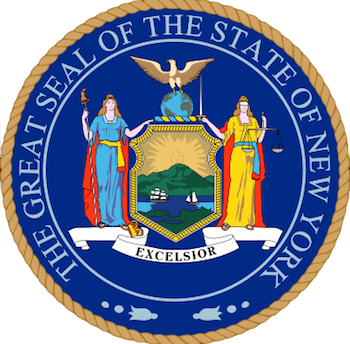 In response to an open records request, the governor’s office shared hundreds of pages of such resolutions, from far-flung places like the Adirondack town of North Hudson, with 238 residents, to more populous areas like Erie County. “ The calculation when it was passed was people were going to get mad for a little while and then get over it,” Stephen J. Aldstadt, the president of the Shooters Committee on Political Education, said. “I don’t think people are getting over it.” Despite its scope, the Safe Act was not everything it was originally intended to be, and there were stumbles. 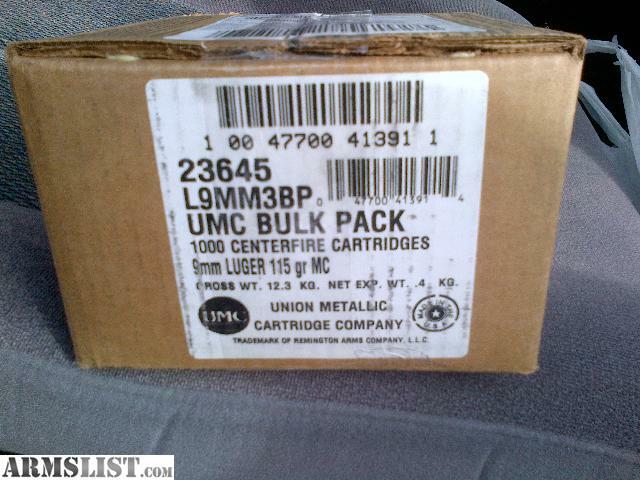 A provision limiting the size of gun magazines, for example, turned out to be unworkable. ” Gov. Cuomo, “crazed with anger” and increasingly abusive to those around him, fears the first round of public polling since the “Morelandgate” scandal will take a major toll on his — until-now — sky-high popularity, administration insiders say. He won’t have long to wait. A poll designed to gauge the scandal’s impact will be released this week by the Marist Institute of Public Opinion and it could have a major impact on Cuomo’s race against Republican Rob Astorino and on his Democratic primary battle with Zephyr Teach­out, a Fordham law professor. Administration insiders, aware of private polling data already collected by Cuomo’s campaign, say the public poll likely will show the governor’s approval rating plummeting. 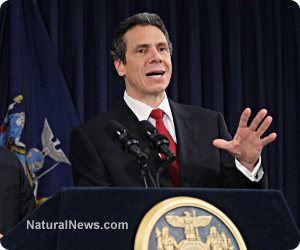 Could “Prince Andy” Cuomo’s Re-Election Bid Be In Trouble ? ” After his worst week in office since becoming governor, Andrew Cuomo is now viewed for the first time by important Democrats as potentially vulnerable to Republican challenger Rob Astorino, The Post has learned. The changing sentiment results from the extraordinary criticisms Cuomo received last week from corruption-fighting Southern District US Attorney Preet Bharara — because of the governor’s summary dismissal of his anti-corruption Moreland Commission panel — and from an assortment of “good-government’’ over his transparently phony plan for a severely limited system of publicly financed elections. ” It was a tale of two rallies — with Mayor de Blasio getting schooled by Gov. Cuomo. 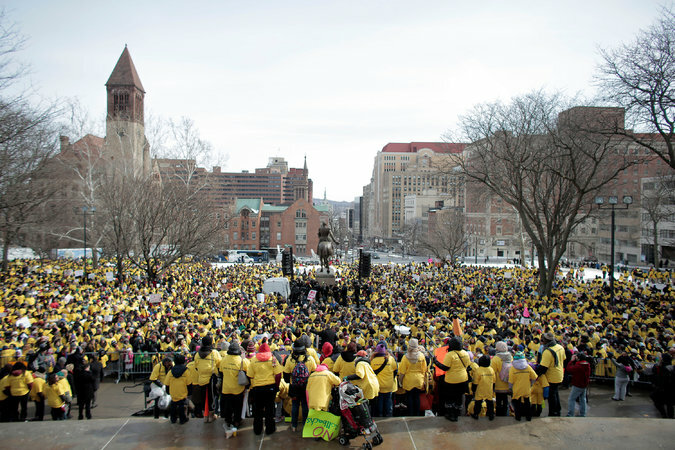 An overflow crowd of 11,000 charter-school supporters braved Albany’s subfreezing weather Tuesday to cheer Cuomo as he blasted the state’s 200-plus failing public schools and declared that “parents deserve a choice” in charter schools. Compare the two rallies , the sparsely attended one indoors right in the city where around a thousand , mostly union , professional protestors sat in the comfort of a heated auditorium versus 11,000 parents , students and teachers that travelled a hundred miles on short notice to attend their rally outdoors in the frigid temperatures of upstate Albany . The Di Blasio/Union anti-charter schools rally. ” The massive demonstration outside the state Capitol was the largest there in years, despite being scheduled just last week in response to de Blasio’s eviction of three “co-located” charter schools. We seldom find anything to agree with as far as Andy Cuomo is concerned but the fact that he felt the need to speak on behalf of charter schools should give the reader a good indication of where the public stands on this issue , after all there is no greater panderer in the state than Gov Cuomo . ” Perhaps while Andrew Cuomo was forcing the unconstitutional SAFE Act down the throats of New Yorkers he should have included the confiscation of guns by his own administration. It has come out that on October 24th of last year, Jerome Hauer, Cuomo’s Dir. of Homeland Security, took out his Glock 9mm handgun (you know, the one WITHOUT a safety) and used the laser pointer on it to give a presentation to a Swedish delegation. People were basically diving for cover to avoid being killed by Hauer’s asininity. When Hauer was previously asked why he carries a gun he has responded flippantly saying to “look him up on Google”. Fair enough Mr. Hauer. Google is an amazing search engine and here is what I found. Mr. Hauer makes $136,00 a year. He has a license to carry a firearm in both upstate New York as well as New York City; must be nice to have connections that ordinary citizens are denied. ” USPS reports that the following letter and package was signed for by A Hasson at Albany, NY, at 9:24 this morning. Is Remington Getting Ready To Flee Cuomo’s NY ? If the rumblings are to be believed , Remington Arms , New York state’s oldest gun manufacturer , is finally getting ready to head for a more amenable work environment . ” ALBANY — Gov. Cuomo’s tough new gun law has put a target on the state’s gun makers. The move can’t come soon enough for us . Any manufacturer whose livelihood is based on the manufacture and sale of a product(s) that in the state in which they reside and pay taxes has been banned should take their business elsewhere as soon as humanly possible . Here’s to hoping that both Kimber and Remington see that things will only get worse in NY , which has become an embarrassment to the Union , the Founders and freedom lovers everywhere . Remington to move to Tennessee? ” A Rochester-based company that makes firearms, ammunition and tactical equipment is relocating its headquarters in Dorchester County, South Carolina officials announced Monday. The state Department of Commerce said that the $2.7 million investment by American Tactical Imports, currently located on Airpark Drive, would mean more than 100 new jobs for the Summerville area. ” The state is holstering a key provision of Gov. Cuomo’s gun control law requiring first-ever background checks on ammunition purchases. Under the gun law passed earlier this year, the state could have begun requiring background checks as of this coming Jan. 15. It also could have ordered sellers of ammunition to begin keeping key information on buyers, including their names, the amount of bullets purchased, their addresses, and occupations. But the State Police Sunday they are delaying implementation, a move first reported by the Buffalo News, until it can develop the needed database system allowing it to move forward. Gun advocates argue that the ammo background check delay is further proof the gun law that also expanded the state’s ban on semi-automatic weapons and sought to reduce the size of ammunition magazines was passed in haste in January, just weeks after the Sandy Hook , Ct. mass school shooting. 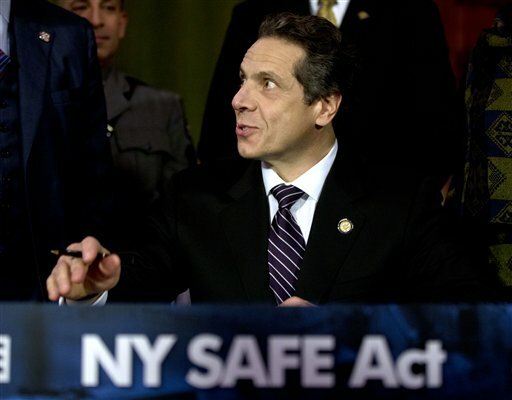 Cuomo and the Legislature earlier this year were already forced to roll back a centerpiece provision of the gun law–one that required that no ammo magazine be able to hold more than seven bullets. 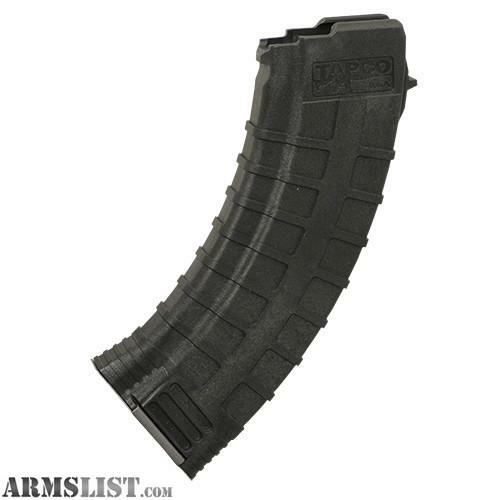 Cuomo said the requirement proved unworkable because most manufacturers don’t make seven-bullet magazines. ” Gov. Andrew Cuomo denied Thursday that he personally ordered his anti-corruption commission to quash subpoenas bound for his allies — but was vague on whether the governor’s office played a role. ” New York’s the pits — especially when it comes to economic development, according to a new study. The Empire State ranked dead last when it comes to its economic outlook based on Albany’s tax policy. The report, authored by economists Arthur Laffer, Jonathan Williams and Stephen Moore, gives New York state, along with New Jersey (45) and California (46), low marks because of excessive tax and spending policies that hurt businesses and individuals. 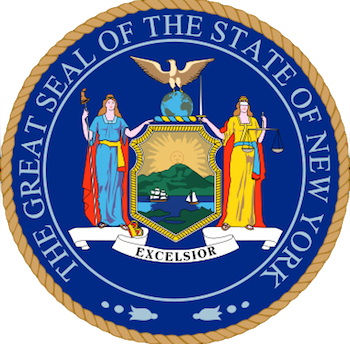 New York placed 50th for its high personal and corporate tax rates, 12.62 percent and 15.99 percent, respectively. ” New York Gov. Andrew Cuomo introduced “texting zones” to the state’s highways this week in order to prevent accidents caused by motorists who send text messages while driving. SEE ALSO: Texting-While-Driving Laws: How Does Your State Measure Up? In recent years, local governments across the U.S. have worked hard to curb the growing trend of texting-related accidents, but the arrival of new and more feature-rich mobile devices have posed a challenge to their efforts. ” Opposition to New York’s extreme gun control law the Secure Ammunition and Firearms Enforcement Act continues and elected officials are stepping forward to promote full repeal of the bill that was hastily, strong-armed into law. “The Republican majority made this happen,” said Rep. David J. DiPietro (R.-East Aurora), a freshmen state assemblyman representing parts of Erie and Wyoming County in western New York. “Skelos and his Long Island delegation sold us out,” he said. 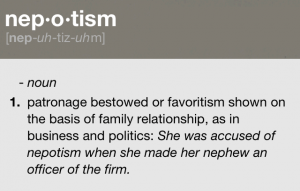 Long Island “Republicans” are nothing of the sort . They are all John McCain style republicans which is to say , no republican at all . ” In his stirring speech to the 1984 Democratic National Convention, then-New York governor Mario Cuomo used an extended metaphor of the whole nation as a family. So maybe it should come as no surprise to discover that his son, current New York governor Andrew Cuomo, uses the New York State government as a jobs program for his friends and their families. 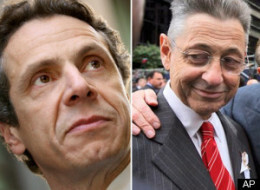 The Empire State Development Corporation in particular is chock-full of his donors and friends, and their young sons–not to mention Cuomo’s political advisers. Meet the Kulle family: mom Helen, daughter Ann Kulle-Helms, son-in-law Douglas Helms, son Albert, daughter-in-law Michele Kulle and Michele’s brother, Jeffrey Thacker. ” For those who still wonder how Albany works, here’s a short scorecard. Not long after a state ethics commission released a report on the serial sexual harassment by Vito Lopez, it became clear he would have to leave. It also became clear the politicians who enabled him would continue with business as usual. Right now there’s something of a race regarding Lopez’s departure. The state assemblyman says he’ll resign on June 20. Andrew Cuomo says he should go now or be expelled. Shelly Silver says he’s working on expulsion. What Lopez did is vile enough. But he couldn’t have got away with it for as long as he did without assistance from the most powerful man in the Legislature, Speaker Silver. Instead of moving to kick Lopez out when two staffers complained of sexual harassment, Silver enabled Lopez by paying the women over $100,000 from public funds to keep them quiet. This man is allowed to sit on the board of one of the biggest tort law firms in New York , all the while controlling the very legislation that passes through the state government . Given the leftist proclivities of the “people’s republic of NY” Silver is and has been effectively in control of the state assembly for decades . Is it any wonder that trial lawyers rule the state , to the detriment of honest citizens everywhere ? “That means that Assembly Speaker Sheldon Silver will have to disclose within a narrowed range of income levels how much he earns at Weitz & Luxenberg, the law firm where he is of counsel. ” Disenchanted members of Gov. Cuomo’s administration, embarrassed by the worsening government scandals and convinced that Cuomo won’t be president, will soon leave their jobs — just as the governor is stepping up plans to run for re-election next year. Several “significant departures’’ are expected in the coming months, sources told The Post. Correct us if we are wrong but might this “New Normal” be a byproduct of an over-weaning , ineffective and corrupt government that takes more and more from society and contributes less and less to it’s actual well-being ? It strikes us that this contrived idea of a “new normal” is a statist tool to justify ever-increasing government intrusion into the daily lives of Americans all in the name of “public safety ” . In that regard it would appear that the statists among us have a very handy ally in the Jihadist movement and it comes as no surprise to find that the authorities will bend over backwards to dhimmie themselves on the altar of political correctness as the threat of terrorism is the perfect ” bogeyman” to use for the erosion of our liberties . This is what you will find at the confiscation registration website . Each of the questions is hotlinked to a dropdown menu with the state – approved answer. You can register here but you cannot see the registration form until you have already given the State Police all of your personal information . Name , address , DOB , description , driver’s license # etc . Q: What do I do if I don’t want to register my assault weapon? Q: Do I have any other obligations associated with registering my assault weapon? * We’ve got a bridge for sale if you believe this . PS : Here is a poem from the comments at the Breitbart link to the NY State registration story .We thought it very apt for the occasion . Destroy America, their rule number one. Along with selling their devilish soul. So they can keep tabs on you and me. Because it means freedom for you and me. They are afraid of what we can do. Not as long as I breath and able to see. They WILL NOT get guns from this old man ! If the need arises, I will too. MOLON LABE is the battle cry !!!!!! ” A state lawmaker is calling for an investigation into how an Amherst man’s guns were taken away by mistake. State Assemblyman Ray Walter says when he saw the news coverage of David Lewis’ case, he knew immediately something was “seriously wrong.” Walter wants some answers, when he meets face-to-face with the State Police Superintendent in Albany next Tuesday. Lewis’ attorney, Jim Tresmond, suspects investigators are using the SAFE Act, to pry into confidential medical records. “We hear that there’s a special unit that’s been created to peruse the HIPAA reports,” Tresmond said. State Supreme Court Judge William Boller has ordered Lewis’ pistol permit reinstated; once Lewis has it back, he can pick up his guns from Amherst Police. ” Remember all those who denied that firearms confiscation as a result of New York’s new gun laws was too “insane” to even consider? Those folks having their weapons and FID cards confiscated have been discovered to have been prescribed multiple different types of psychotropic drugs, such as those for Depression or Anxiety. These are known as SSRI ( Selective Serotonin Reuptake Inhibitors) class drugs and have the potential to cause serious and adverse side effects, something I wrote about extensively last week in an article that went viral in days and caused multiple Anti Gun and Progressive News Groups to initiate a concentrated denial of service hacker attack against Ammoland Shooting Sports News (see Daily KOS ” Keeping Track Of The RKBA Crowd” http://tiny.cc/ug67uw), in an effort to keep the information from the public. ” It was the ultimate putdown of state lawmakers caught in the corruption spotlight. Mayor Michael Bloomberg said they’re not qualified to get real jobs. The circus has returned to Albany. The man known in some parts as “El Bloombito” took out his rapier to cut state lawmakers down to size with a jab only a self-made billionaire could fire off, CBS 2′s Marcia Kramer reported Friday. “The average legislator who has to make policy on things that influence our lives, our kids’ lives, our future, would they ever get a job in the private sector making policy on big things? No, not a chance,” Bloomberg said. After a week of almost non-stop corruption revelations, including charges that Bronx Assemblyman Eric Stevenson took bribes to write a bill to help his friends, Bloomberg also included Gov. Andrew Cuomo in his revulsion of all things Albany, implying that one of the things that aids corruption is the practice of the governor sending lawmakers something called a “message of necessity” so a bill can pass quickly, without anyone having a the chance to study it.